A 1984 Seneca East High School graduate who grew up in Sycamore and Attica was sworn in this month as a state representative. 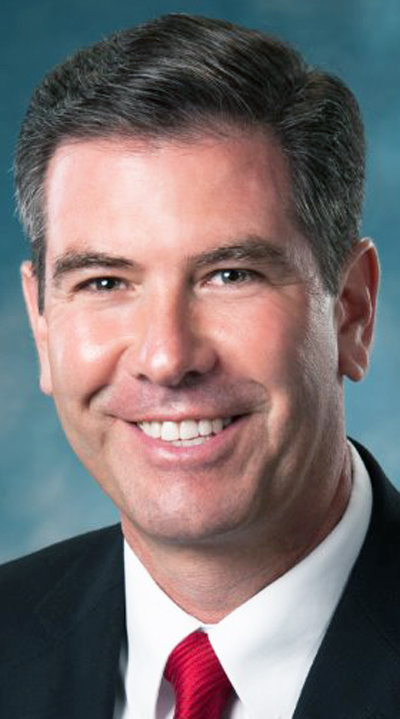 Craig Riedel, a Republican who lives in Defiance with his wife, was elected in November to serve the 82nd Ohio House District, which covers Defiance, Paulding, Van Wert and part of Auglaize counties. Riedel said he grew up in Sycamore before moving to a farm outside Attica in 1976 when he was in fifth grade. He said he graduated from The Ohio State University with a degree in civil engineering and then started a career at Nucor Steel, first as an engineer and then as a sales representative. After 27 years in the private sector, Riedel said he felt his life had another calling. Riedel said he and his wife, Danette, felt they were receiving a message from God. Riedel said he retired from Nucor in June 2015 after discussing a political career with his wife. Although his family has lived away from Seneca County for a long time, Riedel said his home always will be in the area, where he learned many of his core values. Riedel said he also learned the value of hard work. Riedel tried to apply these values on the campaign trail, where his hard work contributed to a March primary victory over incumbent Tony Burkley. He was unopposed in the November general election. Riedel said he thought letting voters meet him and his wife resonated with people. “They were very appreciative of the effort to come meet them,” he said. Riedel said he had no political experience and initially did not know what office he would seek. He said he assembled a leadership team of seven Christian businessmen from the Defiance area who helped him decide to run for state representative. Riedel said he thought political inexperience could benefit him in office. Riedel said his private-sector experience could help guide him. Riedel said government regulations can cripple businesses. “I’ll push back against unnecessary and burdensome regulation,” he said. Riedel said he has others goals for his first term. “In my opinion, we have way too many laws on the books as it is,” he said, adding that he will focus on deciding if laws should be removed or modified. Riedel said he believes in limited government, fiscal responsibility and free-market principles. Riedel said he is grateful for his upbringing.